I have always been a great fan of René Magritte, who was a Belgian surrealist artist. He worked using ordinary objects in unusual contexts, giving new meanings to common things. One of his most famous paintings is "Les Complices du Magicien" (1926). This painting is currently exhibited at the "Neue National Gallerie" in Berlin. It inspired me to stage the color red in the Fashion context. 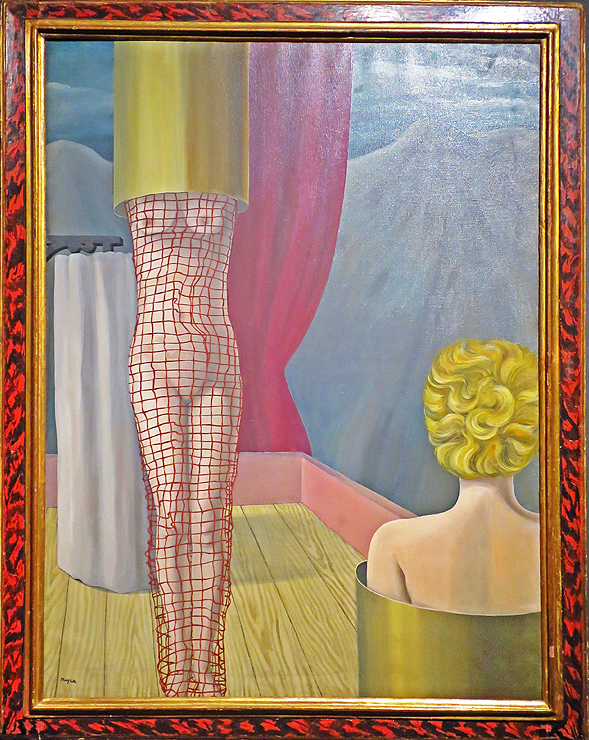 I took the following elements of this painting for my shooting: A woman as the central element of the composition; the division/separation of the body of that woman and the red net that covers her body.